This blog covers Structural Health Monitoring technologies and applications. SHM is growing field of structual engineering and aims at providing quantiative information about the health of structures such as bridges, buildings, dams, tunnels, pipelines, platforms or ships, by installing appropriate sensing and data management systems. The Bolshoj Moskvoretsky Bridge over the Moskva-river was built in 1936-37 by a famous Soviet architect, A. Shjusev. It is situated in the historical centre of Moscow, next to the Kremlin, and leads one of the main traffic lines of the city to the Red Square. The bridge has a status of “functioning architectural heritage” protected by the state. The bridge has been in strumented with fiber optic sensors with the aim of increasing the knowledge concerning structural behavior and help preserve this historic landmark. Standard SOFO sensors have been installed to continuously monitor average strain along the arch, curvature in both horizontal and vertical direction. Thermocouples have been installed to distinguish thermal influences. The Engineering Structural Health workshop brought representatives from infrastructure owners and government officials, practicing engineers, academia, and sensor/equipment manufacturers together to discuss the current state of structural health engineering. The goal of the workshop was to increase communication between the groups involved in this field as well as review necessary aspects of successful bridge infrastructure condition assessment. The proceeding include an interesting discussion on the owners needs in therms of bridge SHM. The 14th World Conference on Earthquake Engineering (14WCEE) will be held in Beijing, China on October 12-17th 2008 and wil serve as an international forum at which specialists, government officials and NGO representatives in earthquake engineering and relevant fields may exchange the latest research results and technologies. The Conference strives to promote innovation, practice and safety in reducing the impact of earthquakes on our society and natural environment. The International Pipeline Conference (IPC) 2008 will be held September 29 – October 3, 2008 at The Hyatt Regency Hotel & The TELUS Convention Centre, in Calgary, Alberta, Canada. The Call for Papers is open with details available on the IPC 2008 Web site at: www.InternationalPipelineConference.com. Abstracts can now be submitted online at: https://www.asmeconferences.org/IPC08/Author/NewAbstract.cfm. Remember to submit your abstracts on or before December 3, 2007. I used Google Trends to see what impact the bridge collapse in Minneapolis had. As you can see there is a big spike at the end of July and it levels off after about one month. The good news is that the residual level is still above zero, so there seem to be some interest left after the big sensation. I was myself caught in the maelstrom of the news. CBS News came to Switzerland for a story and interview (see a transcript and two videos on the CBS website). We were also interviewed by several journals in Switzerland, Germany and USA. A student has asked me to point out which courses he should take, if he is interested in working in Structural Health Monitoring in the future. SHM is a very multidisciplinary field that requires a close cooperation between professionals of different fields. A true SHM professional should therefore be a generalist, who knows enough about the different technologies and professions that revolve around SHM. This will enable him to interface to the specialist in each field and help them interact effectively in a specific SHM project. Another choice is to become a specialist in one of those fields and work as part of an SHM team. Here is a list of professions and specialities that I consider as central for SHM. Here is a list of Journals that feature papers related to SHM. I will keep an eye on those journals and point to new issues and interesting papers. If you know any other interesting journal in this domain, please leave a comment. I was asked to recommend books about SHM. Here is a list of my personal picks. Since my interest lies mostly with civil engineering applications and fiber optic sensors, I have concentrated mostly on those topics. Handbook of Optical Fibre Sensing Technology by José Miguel Lopez-HigueraFiber Optic Sensors: An Introduction for Engineers and Scientists (Wiley Series in Pure and Applied Optics) by Eric Udd. A little old, but still a good reference. The recent pipeline conference in Rio de Janerio (Brazil), registered once again a big interest in the instrumentation of pipelines for structural monitoring and leakage detection. The management of pipelines presents challenges that are quite unique. Their long length, high value, high risk and often difficult access conditions, require continuous monitoring and an optimization of the maintenance interventions. The main concern for pipeline owners comes from possible leakages that can have a severe impact on the environment and put the pipeline out of service for repair. Leakages can have different causes, including excessive deformations caused by earthquakes, landslides or collisions with ship anchors, corrosion, wear, material flaws or even intentional damaging. Leakages can be detected and localized using distributed fiber optic temperature sensors. Fluid pipelines generate an hot-spot at the location of the leak, while gas pipelines generate a cold-spot due to the gas pressure relaxation. These localized thermal anomalies can be detected by a distributed measurement with good spatial, time and temperature resolution. Typically, leakages of the order of 0.01 - 0.1% are detectable, one or two order of magnitude lower than conventional "mass-balance" techniques that compare the input and output from a pipeline to detect (but not accurately localize) leakages. corrosion and wear. Finally, distributed temperature and strain monitoring can detect third party intrusion before any damage is done to the pipeline. Fiber optic distributed sensin g systems can be used for distributed measurements of both strain and temperature over extremely long distances, limiting the number of instruments that are necessary to monitor a long pipeline. I will report on the presentations at the Rio Pipeline Conference in another post. November 13-16, 2007 at the Fairmont Waterfront HotelVancouver, British Columbia, Canada. I will be presenting papers in the session in bold. I plan to blog from the conference to give updates on the most interesting papers and presentaitons. I will report about new products announcements during the conference. Here is a new book I am co-authoring with Branko Glisic. It will be published by Wiley in December 2007. Here is a link to the Wiley page. The book introduces the broad realm of structural health monitoring, with a thorough discussion of SHM systems, processes, and management tools. 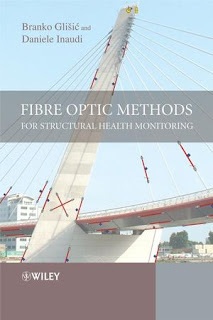 It continues with the main focus of the book Fibre-Optic Deformation sensors, their application and interpretation, covering areas such as the mechanical parameters to be monitored – deformations, displacements, rotations, cracks openings, curvatures, with in depth discussions of how to achieve the monitoring aims, how to make data interpretation depending on the construction material, and discusses what numerical concepts and formulas to use in order to properly analyse the data. Overall the Book is organised so that it can be used as a step-by-step guide to implement a monitoring system and includes numerous application examples on the most common types of structures, such as building, bridges, historical monuments, piles, dams, tunnels, pipelines, risers, and off-shore structures, and their most frequently monitored parameters. I hope that the readers of this blog will find the book interesting and vice-versa. From time to time, I will discuss topics from the book and I encourage interested readers to use this blog as a forum to discuss the ideas presented in the book. Structural Health Monitoring (SHM) is a process aimed at providing accurate and in-time information concerning structural condition and performance. This is obtained by installing a network of sensors on the structure and continuously observe its behavior. The information obtained from monitoring is used to plan and design maintenance activities, increase the safety, verify hypotheses, reduce uncertainty and to widen the knowledge concerning the structure being monitored. SHM concepts can be applied to a variety of structures, including bridges, buildings, dams, tunnels, pipelines, platforms, ships, aircrafts and vehicles. In this blog, I will cover Structural Health Monitoring Technologies and Applications. In particular I will report on relevant conferences and publications and report on interesting research and applications in this domain. I will also discuss applications of SHM to different types of structures and provide examples from my professional experience in this field. 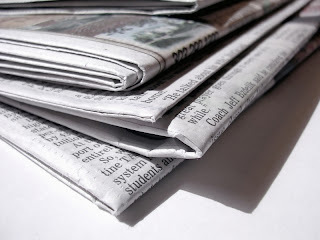 The SHM Blog will also report on industry news, product announcements and other corporate news. I welcome any suggestion on how to make this Blog more useful for you. All opinions expressed in this blog are personal views of the author and do not necessarily represent those of SMARTEC or the Roctest Group.